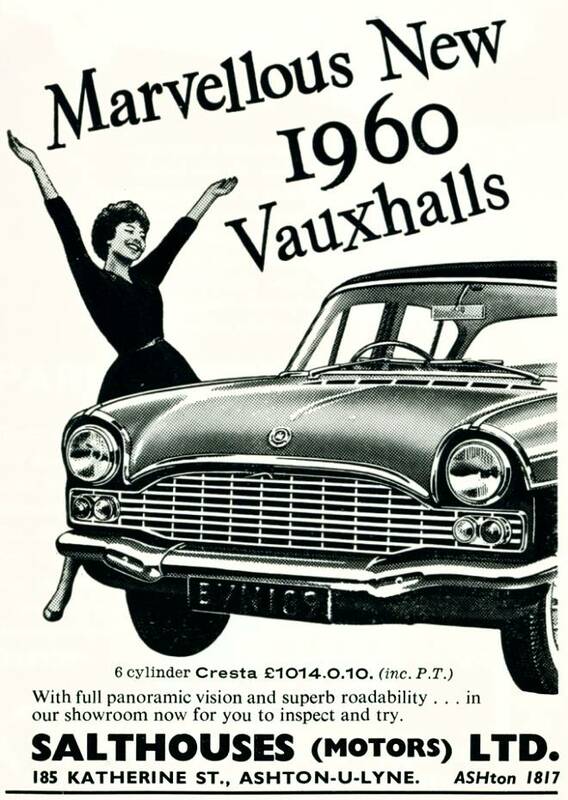 The original 1958 Vauxhall Cresta was superseded by this 'facelifted' 1960 version, featuring a differently shaped radiator grille, and a rear window which - like the windscreen - was one single piece of double-curved glass. The earlier 1958 Cresta had a rear window in three separate panes, so the new one-piece back window offered a slight advantage in terms of rear visibility. The 1958-59 version's upstanding bonnet mascot had gone, to be replaced by a flat badge, and the indicator lights at the rear of the fins had been relocated to join the other lights in the main clusters. Now, "V for Vauxhall" motifs occupied the blank rear ends of the fins. Following two years with the original 1958 PA model, my father's new 1960 "facelifted" Cresta came as a disappointing follow-up. Despite the various updates, its green and black colour scheme seemed drab in comparison with the earlier model's brighter range of shades, including the two-tone blue of my father's earlier car. Also gone were the attractive whitewall tyres; a bit of 'bling' which had really put the finishing touch to the 1958-59 car's overall appearance. A victim of cost-cutting, whitewall tyres were rarely seen on the 1960-61 models. The few 1958-61 PA Crestas remaining today, give us a brief insight into how cars might have developed, had the stylists not been overruled by the company accountants.